Sqwincher Qwik Stik Zero is sugar free and so convenient when added to 20 ounces of bottled water or to a 20 oz. cup. It makes staying hydrated while working on the job or participating in sports activities very simple. The importance of maintaining the body's electrolyte balance is crucial and cannot be easier to maintain with this compact .11 ounce electrolyte package which costs pennies per ounce. A case consists of 500 - 20 oz. Quik Stiks with each yielding 2.5 servings. 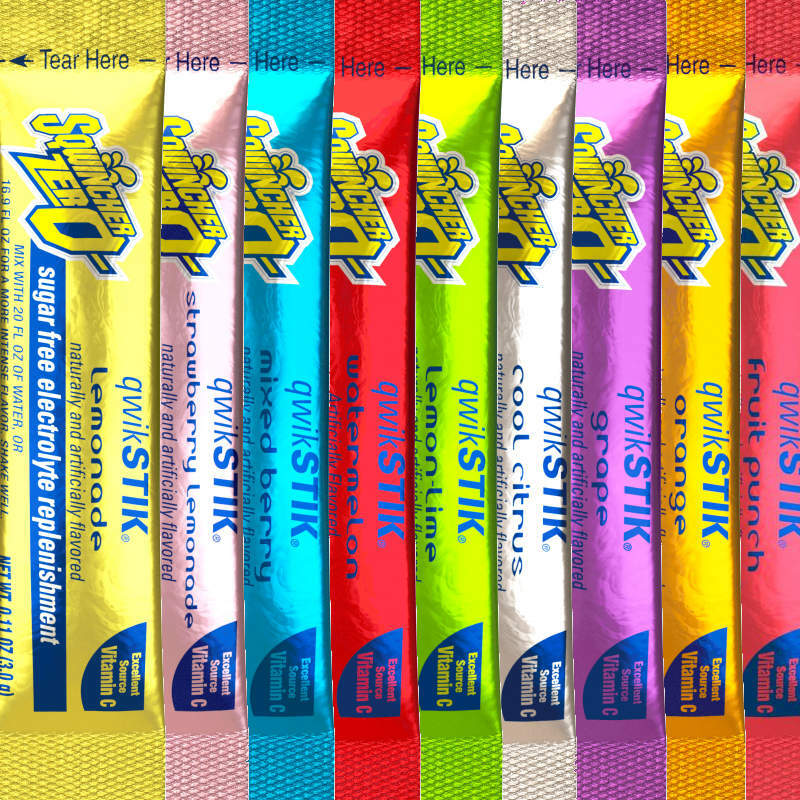 Sqwincher Qwik Stiks are available in 5 delicious flavors; Orange, Mixed Berry, Fruit Punch, Lemonade and Peach Tea. Fruit Punch and Orange Flavors are also available in a ten ounce yield bulk pack.